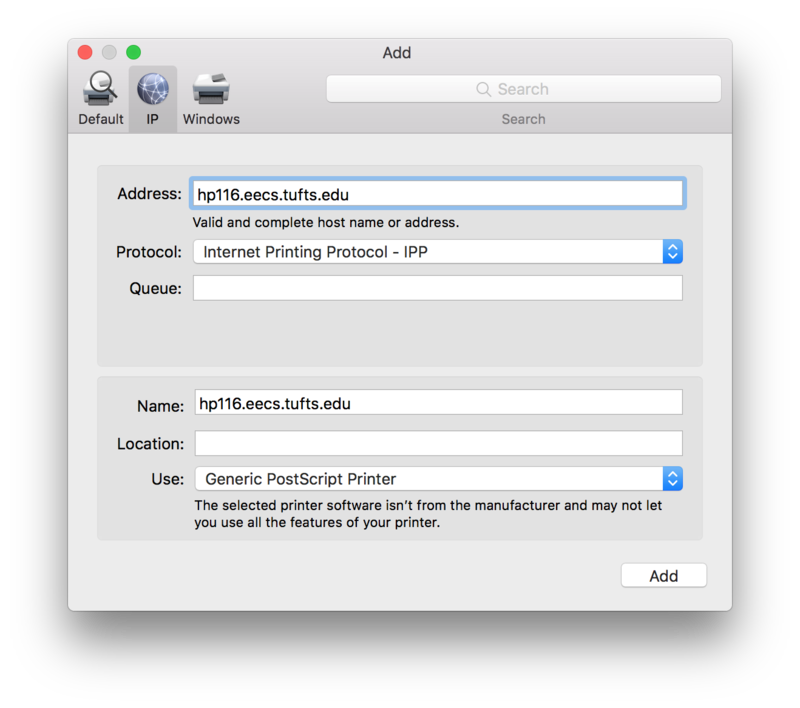 Adding printers on a Mac while in Halligan Hall is quite simple! Each printer is given a name corresponding with the brand name of the printer and the room it’s located in. For example: hp116, hp118, hpext (extension), etc. In the box that pops up, navigate to the IP tab. 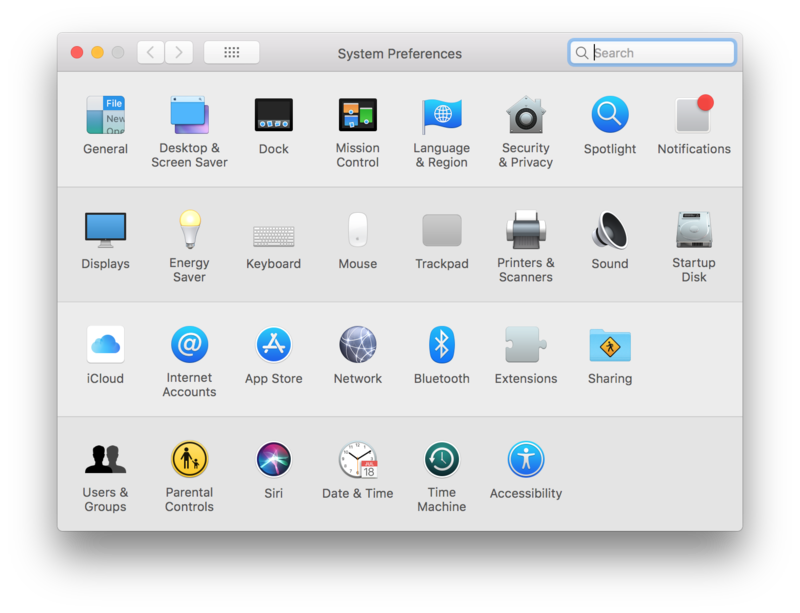 Let the Mac auto-configure for a moment or two while it connects. Name the printer anything you would like. Enter any location information you would like, or leave it blank. 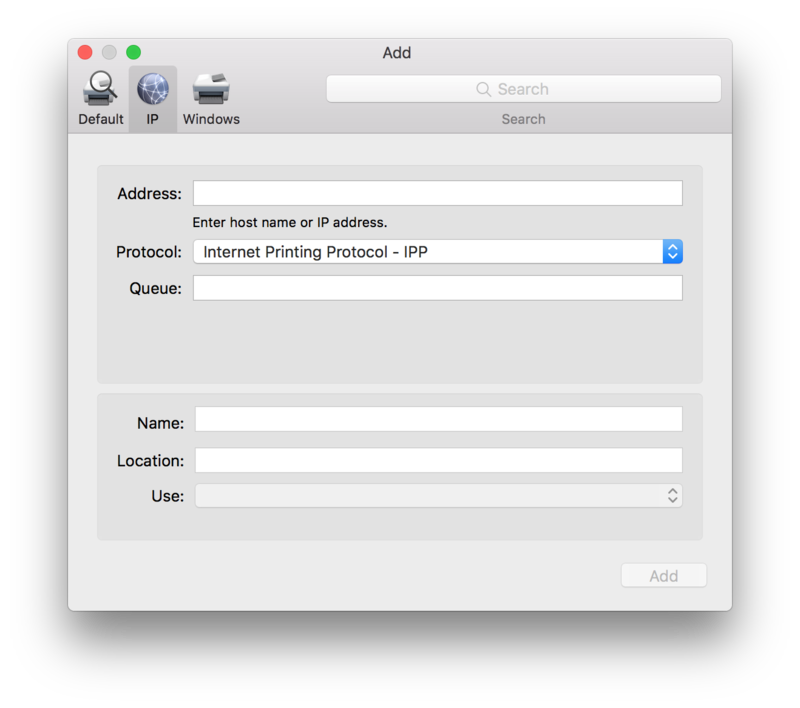 Most printers will be perfectly fine using the “Generic PostScript Printer” driver. You’re now ready to print! 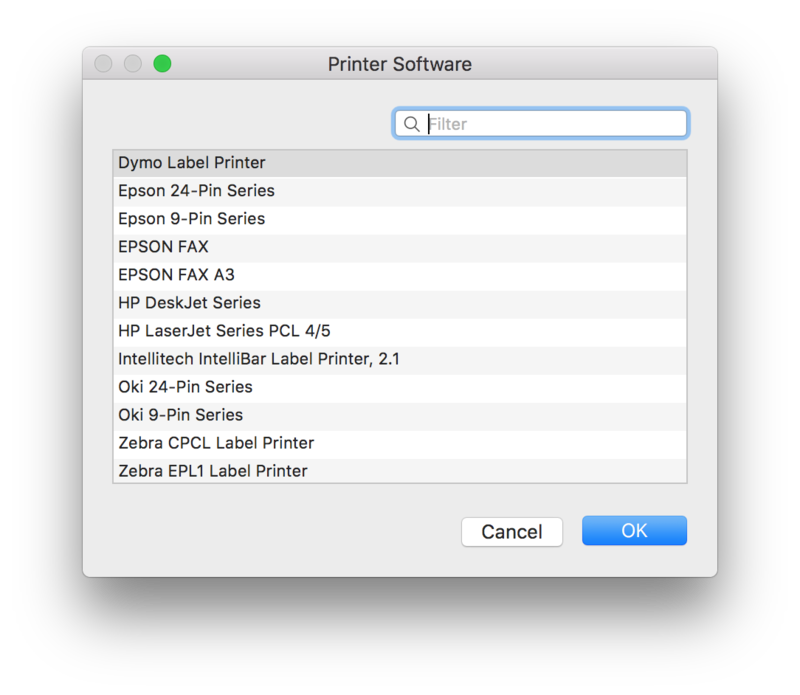 For printers which don’t behave properly, or have additional functionality such as a duplex printing (double-sided), you may have to configure a more appropriate driver. Use the filter to search for the model printer you’re trying to connect to (the printer will have this written on it somewhere). 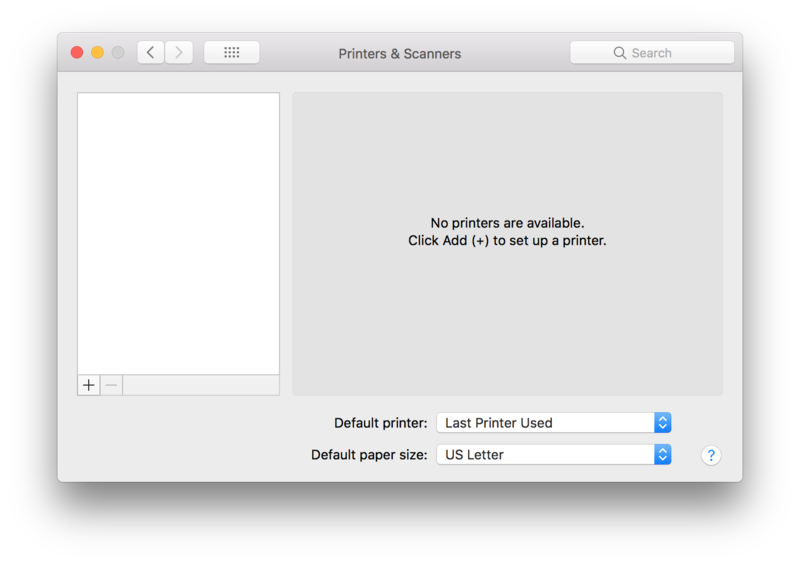 If you do not have that printer listed in your software list, you may be able to find a “Universal” driver which will suffice for most needs. If you need an exact driver, you’ll have to search for one and install it from the manufacturer’s website.